Y’all, it's the first week of April, and do you know what that means? No, I'm not talking about MLB opening week (though that's important in its own right!). Rather, it’s time for North Carolina Beer Month! Yes, ladies and gentleman, an entire month devoted to beer in North Carolina, which I’ve partnered with Visit North Carolina for. This is a special post for me because I actually grew up in North Carolina, in a small town called Graham, which at the time, didn’t even have a population of 10,000 people. Graham’s biggest claim to fame (speaking of MLB opening day) is probably Tom Zachary, who had an illustrious 19-year MLB baseball career, but is most famous for giving up Babe Ruth's record-setting 60th home run in 1927. But while baseball was most certainly a thing in my hometown and home state, beer most certainly was not. Our county in fact was a dry county, and our household was even more dry. In fact, as long as my parents were alive, not even a drop of beer crossed the threshold of our house. But oh how things have changed, both for me, and the state of North Carolina, which is now the leading craft beer state in the entire south. Think about this for a moment: In 2005, what should have been my last year in college (at Western Carolina University, and ironically the first year I tried a craft beer, one you’ve perhaps heard of, Fat Tire, by New Belgium), North Carolina passed legislation that would allow the production of beer above 6% (and up to 15%) ABV. It was stated that this could create 300 new jobs across the state. However, in the decade since, if you add up all of the beer-related jobs, the total number of newly created beer jobs nears 10,000. 10,000 new jobs! That following year, in 2006, I moved to Asheville, which I would go as far as to say has long been one of the most underrated beer cities in America. I started noticing places that called themselves breweries, like French Broad Brewing Company, but which weren’t affiliated with the likes of Miller and Budweiser. I’d spend many of my weekend evenings at the “Brew & View,” Asheville Pizza and Brewing Company, which was even a smaller brewery, dubbed a "microbrewery," which had been brewing its own beers for almost a decade. The rest is really history. Around that time, there were about 20-25 breweries in North Carolina. Yet now there are more than 150 breweries in North Carolina! The growth has come to my own home county of Alamance, which just opened its first brewery last year, Haw River Farmhouse Ales, just across from where I’d play basketball as a kid in Saxapahaw (the term, “Blink and you’ll miss it,” had to have originated here). So with more than 150 craft breweries and status as the beer state of the south, why wouldn’t North Carolina have a beer month? North Carolina, as it turns out, is more than college basketball, barbecue, and NASCAR. North Carolina Beer Month is now in its fourth year. But what does North Carolina Beer Month mean? Well first and foremost, it puts North Carolina beer and breweries on the map. And I’ll be sharing more in the coming days about some of those very North Carolina beers and breweries. Additionally, it further highlights a beer scene that many people are probably unfamiliar with. For example, many North Carolina breweries have brought back awards from the Great American Beer Festival and The World Beer Cup. This includes one of the first craft beers I remember having from North Carolina, Duck-Rabbit, which specializes in dark beers. And while this isn't a baseball blog, I'd be remiss not to mention Bull Durham Beer Company, which is the first brewery inside a minor league baseball park. You guys, it's a brewery inside a baseball park! Additionally, there are North Carolina Beer Month events happening throughout the month of April across the state. The following is just a sampling of events. Beer, Barbecue, and Whiskey Tour (Yes, please). Happening April 2, 9, 16, and 23, hop on board the Ridgeline Trolley for a tour of Fonta Flora Brewery, Brown Mountain Bottleworks, and Blue Ridge Distilling, ending with lunch at JD's Smokehouse. World Beer Festival. Happening April 2, sample from 250 beers across the state of North Carolina at the North Carolina State Fairgrounds Exposition Center. Beer & Bacon Fest. 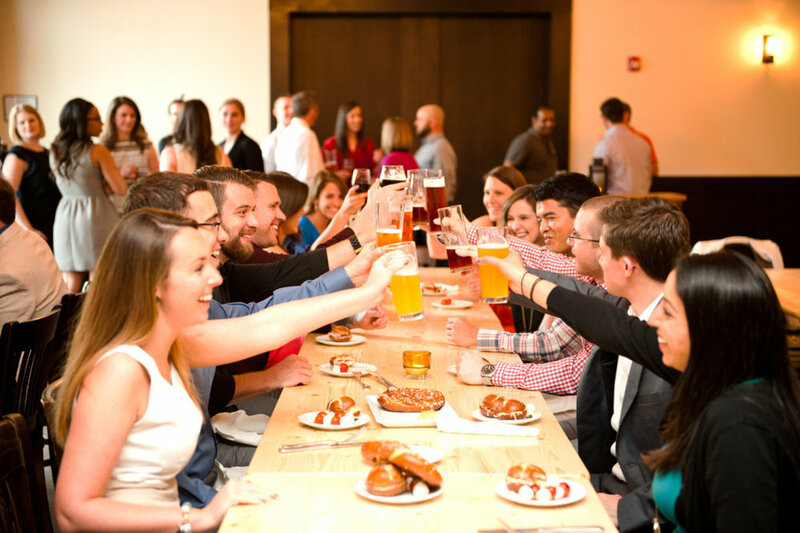 Come taste beer and bacon on April 9 from both local and afar in Cary, North Carolina. Three Eagles Beer Festival. Taking place April 16 in Goldsboro, this North Carolina beer festival will feature a number of breweries from around the state, as well as some exclusive home brews. 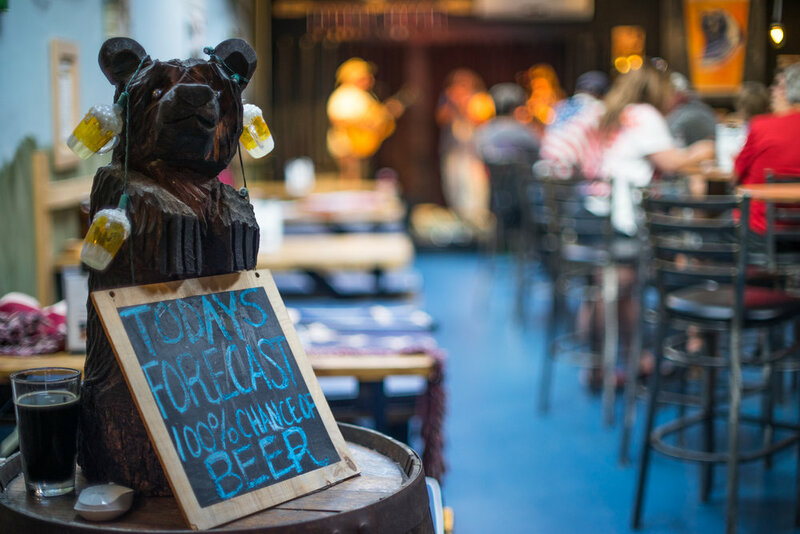 Additionally, North Carolina Beer Month will be featuring another 100+ tap takeovers, beer tours, beer and food pairings, and beer and food specials at restaurants, bars, and breweries across North Carolina. April is the month that just keeps on giving. But wait, there’s still more! New Belgium Brewing is giving away a trip package for two to the grand opening of their new brewery in Asheville, which will be opening in August. All you have to do is enter your name and personal details. That’s it; no jumping through hula hoops, having to tweet 5 times, or shotgun a beer in less than 15 seconds. If that’s not enough, I’ll be giving away some North Carolina Beer Month swag throughout the month of April. And it’s even easier to score that, since all you have to do is be a newsletter subscriber. Over the coming weeks I’ll be sharing more about North Carolina Beer Month, and more specifically, highlighting a few of the different breweries and beer trips you can do around North Carolina. Cheers to North Carolina Beer Month! All photos courtesy of VisitNC.com unless otherwise noted.